Thomas Ricaud Darden was born on September 25, 1888, in Wilmington, North Carolina, to John Green (1845-1930) and Martha Emma Bowen Darden (1861-1903). The Dardens lived in Wilmington until 1897, when they moved to Raleigh, North Carolina, where they lived off Peace Street. While living in Raleigh, John Darden worked as an insurance agent for the Life Insurance Company of Virginia. On January 17, 1903, Thomas Darden—with the complicity of his father—lied about his age to join the U.S. Navy. In January 1903, Thomas was actually 15 years old, and stated on his official records that he was born on September 25, 1887—which made him 16 years old and eligible for naval service with his parents’ permission. Darden served for five years in the Navy, being discharged with the rank of seaman on September 24, 1908. After his naval service, Thomas Darden would go on to work as the Washington, D.C., press correspondent for the New York World newspaper, one of the most popular newspapers in America. Darden covered activities in the U.S. House of Representatives and Senate, becoming a member of the National Press Club. During his time in Washington, Darden became acquainted with or friends with numerous U.S. congressmen, including: future Republican President Warren G. Harding; Harding’s future Attorney General Harry M. Daugherty; and Harding’s future White House executive clerk Rudolph Foster. It took letters of recommendations from numerous high-profile politicians to have Darden examined and approved by the military examination board. Darden was appointed as a candidate for an officer’s appointment, ordered to report on August 23, 1917, to the Reserve Officers Training Camp at Fort Meyer, Virginia. Later, he was transferred to Fort Meade in Maryland. At Fort Meade, when his fellow soldiers complained about commutation quarters at the camp, Darden got on a train to Washington, and met with U.S. Secretary of War Newton D. Baker about the matter. This act won the respect of the men in his unit. Darden was assigned as a first lieutenant in the 301st Heavy Battalion, U.S. Tank Corps. During the war, Thomas Darden would write letters to his father about the fighting and his experience, with Thomas’ father having the letters published in the Raleigh News and Observer newspaper. He served in France with the 301st Heavy Battalion, which was attached to the 7th British Tank Battalion. In the Somme Offensive, Darden led a fleet of tanks against the Germans, receiving recognition for his distinguished service in that offensive. Thomas Darden suffered physically from his time in combat, having been injured in at least one circumstance. Between January and March 1919, he had stays at Camp Hospital 40 in Liverpool, England; U.S. Army Embarkation Hospital No. 4 in New York City; and Walter Reed General Hospital in Washington, D.C. Darden was transferred into inactive service immediately on May 21, 1919, as a first lieutenant in the Quartermaster Section, U.S. Army Officers’ Reserve Corps. After the war, Darden attempted to resume his career as a reporter in Washington, D.C. He even sought and obtained a new officer’s commission in the Reserve Corps as a captain. However, his health had been shattered by his war service. Darden left Washington in the late summer of 1922 with many letters of recommendation and introduction from high-ranking politicians and members of President Warren G. Harding’s Cabinet. Darden traveled to Arizona, where he stayed for a while at the U.S. Veterans Hospital No. 50 in Whipple Barracks, Arizona. U.S. Senator Ralph H. Cameron of Arizona wrote several personal introduction letters on Darden’s behalf to the Governor of Arizona and several judges, asking them to extend any courtesies they could to Darden. While in Arizona, Darden was encouraged by a news correspondent friend in the American Legion in Washington, D.C., to try writing an “insider’s account” on the life of injured or sick veterans in U.S. Veterans Hospitals. Darden compiled the piece, but it was rejected by the editor of the American Legion’s publication The American Legion Weekly. While convalescing in Arizona, Darden also received a personal letter from Attorney General Harry M. Daugherty, who also was recovering from ill health and was very familiar with Darden as a news reporter. After April 1923, Darden had moved to Coronado Beach, California, trying a change of climate to help his health. He would never recover from the health issues that ailed him following the war. Thomas R. Darden died on October 6, 1923, in San Diego, California. 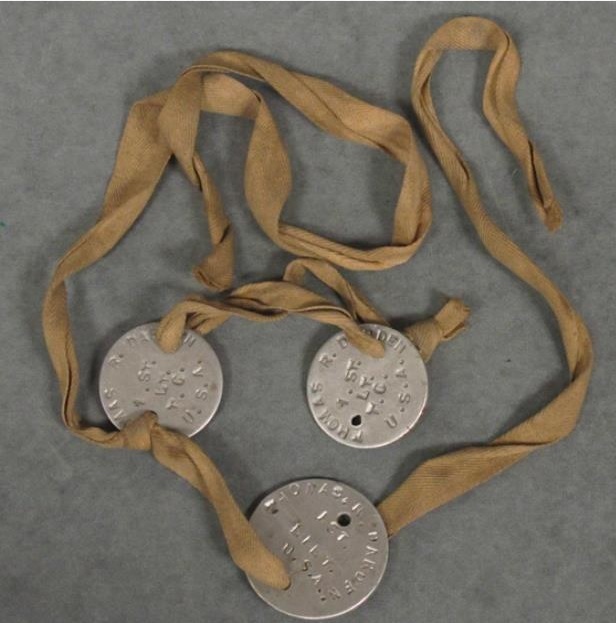 To learn more about Thomas Darden’s WWI service, check out the Thomas R. Darden Papers (WWI 16) in the WWI Papers of the Military Collection at the State Archives of North Carolina in Raleigh, N.C., and and explore the attached collection finding aid for the extent of his materials.